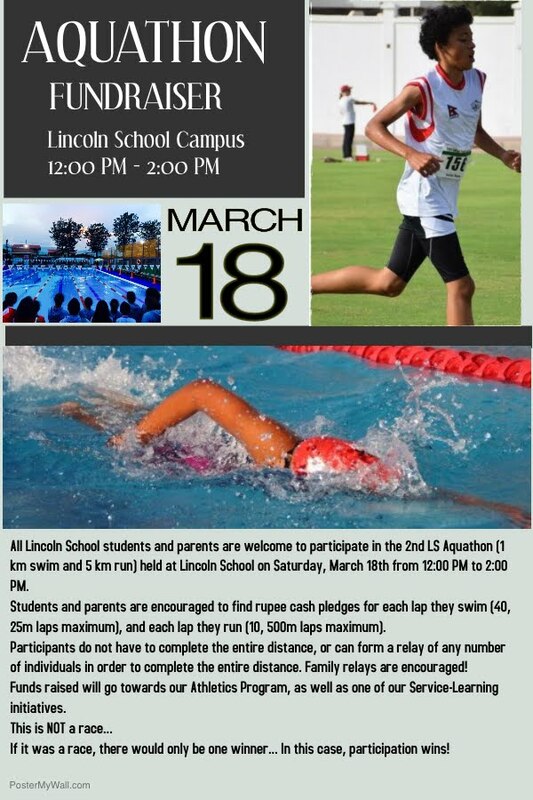 Calling all Lincoln School students, staff & parents! Students and parents are encouraged to find rupee cash pledges for each lap they swim (40, 25m laps maximum), and each lap they run (10, 500m laps maximum). Begin collecting your pledges! Participants do not have to complete the entire distance, or can form a relay of any number of individuals in order to complete the entire distance. Family relays are encouraged! Funds raised will go towards our Service-Learning initiatives. See you on Saturday, March 18th!